Call it "cracking the code" but I think I understand what the "masses" really want out of an MMO. They want what I would call Group Lurking. Players want to be grouped and play with others — this is why they are playing online — but they don't always want the convention of interacting socially with others. In other words, they want the interaction and benefits of grouping without actually having to invest in interacting. 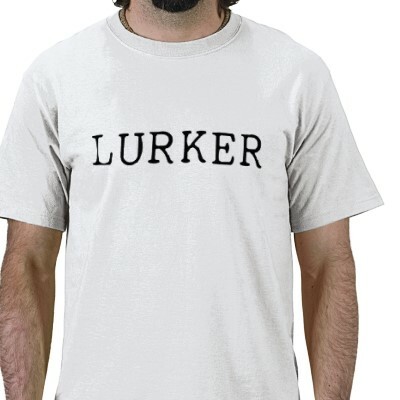 In almost every online community, the vast majority of people are lurkers. Why would we assume this is different in MMOs? While that may seem illogical, all evidence seems to point towards this being true even in MMO communities. The "silent majority" want to group but they also want to remain silent. To find your first group of lurkers, look no further than the voice comms of your clan or guild. How many of the people in your comms don't talk? In every guild, the "talkers" are usually limited to maybe 8-10 really active speakers and everyone else stays quiet. 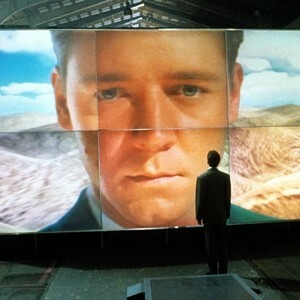 Are you the one lurking? Then you already know the reasons why you don't speak up. There could be a 1000 reasons. The point is.. you want to participate but you are perfectly happy not participating as much as the guys doing all the talking. People who write about MMOs often mistake lurkers as wanting to play a "solo" game. This is a gross oversimplification and untrue. Why play an MMO at all if you don't want a shared world with others? Simply look at some of the most widely praised features among casual gamers as evidence: party finders, scenarios & battlegrounds, public quests, and really anything that facilitates a "group" forming automatically which has a relatively short duration. Remember how much "open groups" and "public quests" were praised for Warhammer Online? That's what this group wants -- they want to group, they just don't have the real-life time to invest more than 30-90 minute chunks of time. Any feature that facilitates this type of player's ability to group is appreciated. And just because they want to group for a bit, doesn't mean they want to invest in making long-term friends. 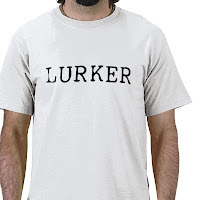 I would posit the theory that these "group lurkers" want to be led by others. The easier a game makes it for these "group lurkers" to be led, the better the chance that the game will succeed and retain players. The most vocal people in “vent” are the guys who do the leading. An important group, to be sure, but not the silent majority. In sandboxes, the quiet ones are the lurker slaves quietly farming all the resources to build your battleship/city/whatever. In theme parks, they are the 15 silent guys making up 60% of your 25-man raid group. These players are the heart-and-soul of an MMO's success. At it's core, I think this is what most games lack to be successful in the long-term. Sure, they need content. Sure, they need to be fun. Sure, a good IP helps. But at the core, online gaming is about interacting with others. The easier and more important this becomes, the more successful the MMO will be at retaining players.